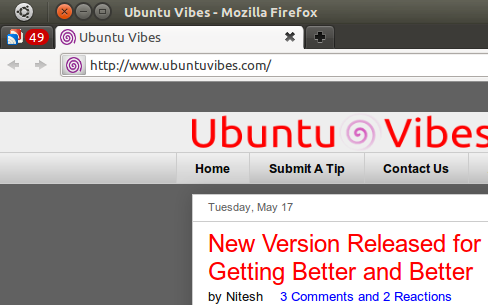 One main feature I miss from pinned tabs in Firefox is unread count notifications. I really like the unread count shown by Google Reader, Twitter etc. But pinning them as AppTabs only shows a favicon. Tab Badge Firefox addon adds a small badge to your tabs to alert you to new messages on Facebook, Twitter etc. The badge is also visible when the tabs are pinned so you can see when there's something new available. 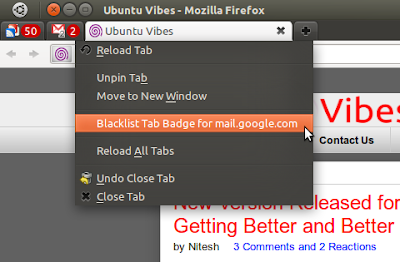 You can also easily blacklists sites that you don't want to show a badge. For instance, Gmail labs allows us to show new mail count on favicon itself. So I usually disable it on Gmail. To blacklist any site, just right click on the Tab and select the blacklist option.